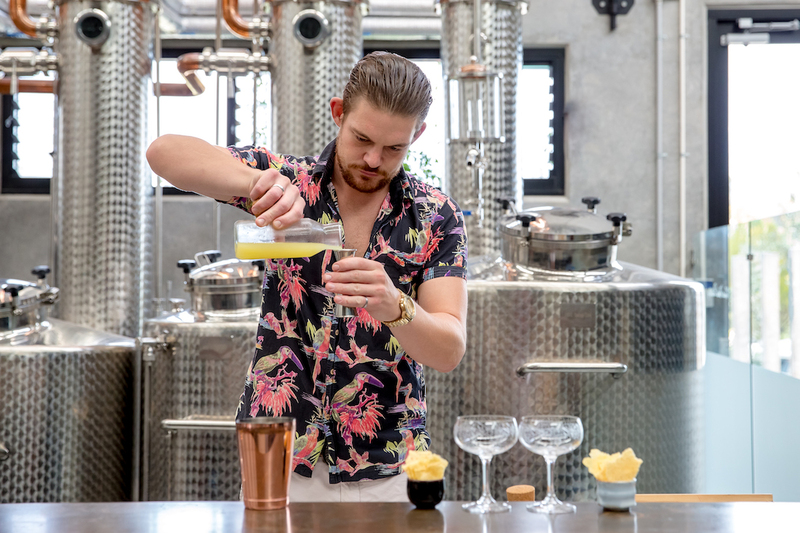 IN Noosa Magazine | Fortune Distillery Bartender Competition-Let The Adventure Begin! 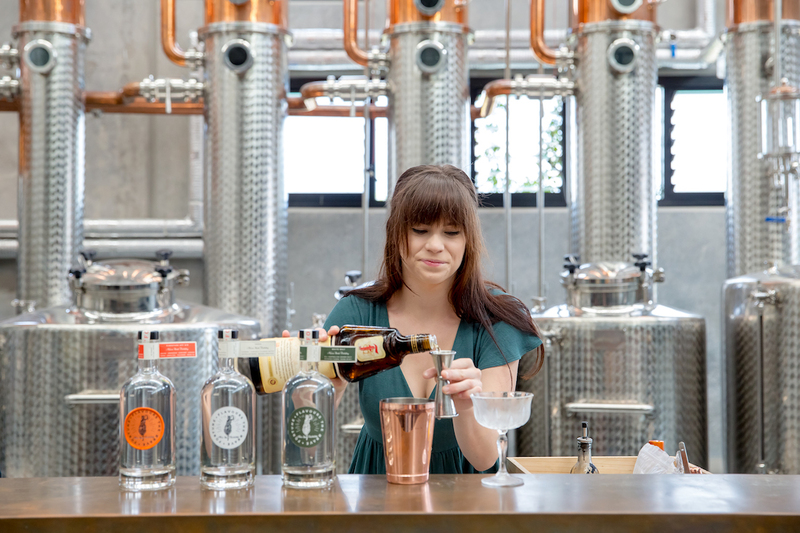 Fortune Distillery Bartender Competition-Let The Adventure Begin! 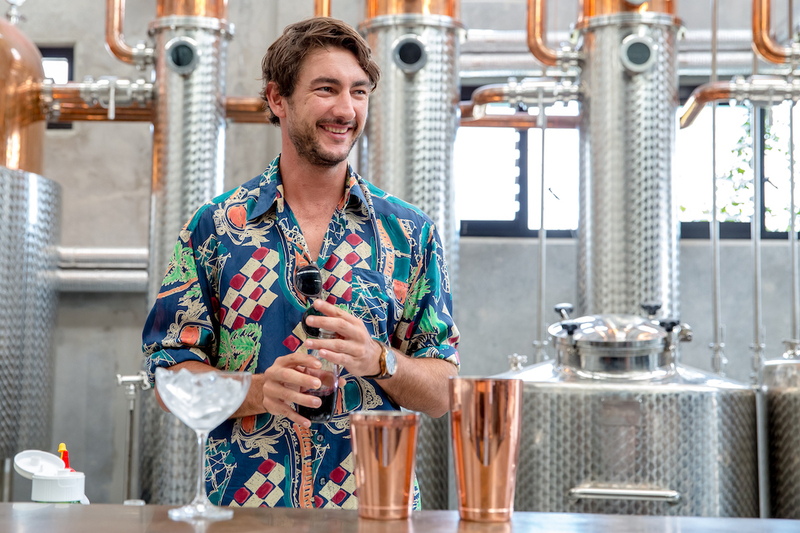 With the launch of Noosa’s first distillery ‘Fortune’ comes the excitement of a new adventure – particularly for local bartenders keen to add their own twist to a locally-crafted gin. 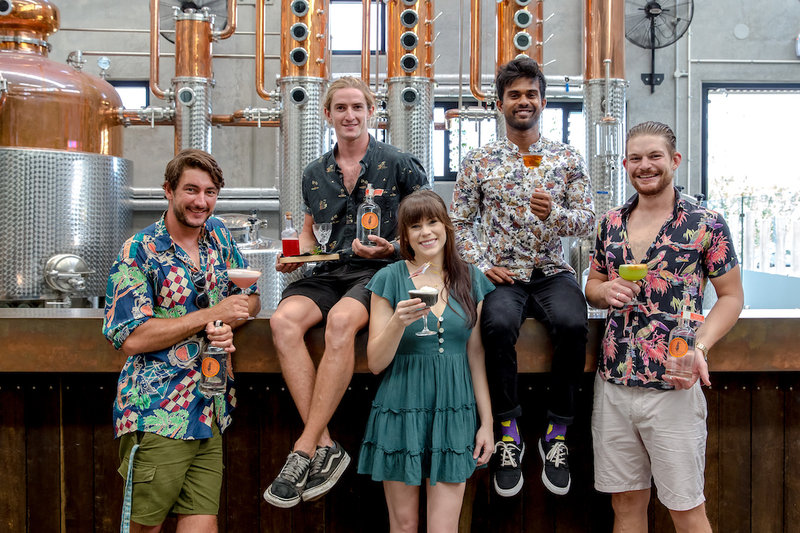 IN Noosa profiles the five finalists and their crafty cocktails. muddle ginger; add the ingredients, shake with ice; strain and smoke with local pine tree leaves. Shane really put a lot of effort into presentation with berries sitting on pine needles and was consistent with the Italian food theme of his outlet with a play on the classic Italian dessert of strawberries and balsamic. Lots of techniques involved in the prep with deft use of a smoker being a real attention grabber for this raspberry coloured delight. 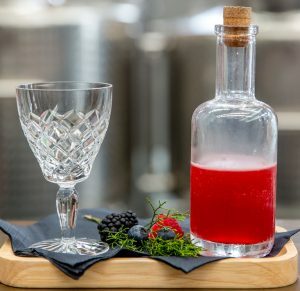 Palate-wise, the cocktail rode a fine balance between the sweetness of the berry fruits and the sour/acid edge of those same fruits. The pine smoke very subtle, evident but not dominating. Very easy to drink, just as easy to order another. Not hard to see why this got the gong. Visually appealing with a thick layer of egg white foam sitting atop the charcoal coloured concoction and a generous fluffy pillow of Persian fairy floss to garnish. Green tea, one of the botanicals in Fortune Gin, was replicated in the infusion and whilst the aromatics were very sweet, with the confected aromas of the fairy floss sitting right under your nose as the glass was put to one’s lips, the palate ran a fine line between the sweetness of vanilla balanced by the savoury, slightly tannic edge delivered by the green tea. 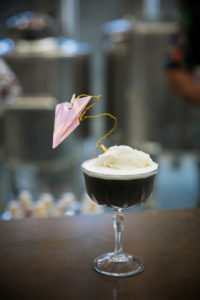 The thick egg white foam provided a stunning textural element to drink through. One to enjoy at the back end of the night. Dry shake (no ice) to make the pineapple froth and then shake with ice. Fine strain into a chilli-rimmed glass. Very on message with the theme of his outlet this salty, sour and savoury drink stimulated and left me salivating. 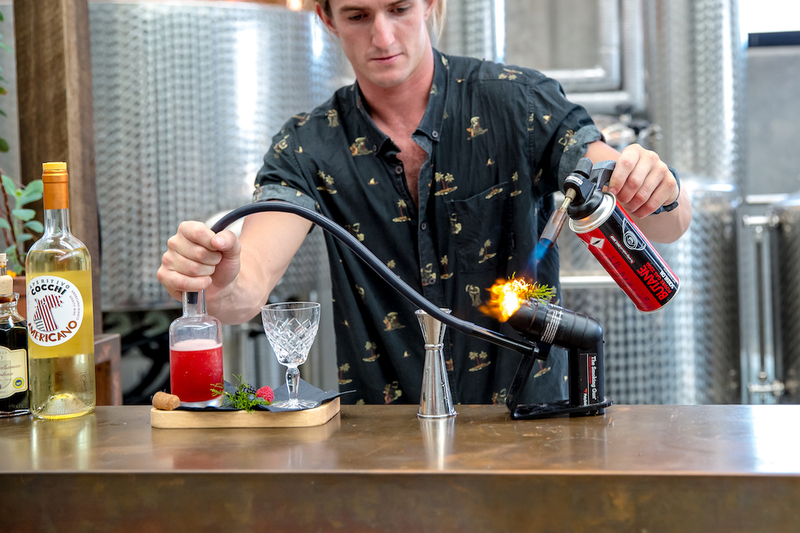 Showcasing all the flavour elements of a south-east Asian dish the chilli-dusting of the glass really made this drink come alive, the heat of the dusting drawing out greater intensity in the flavours of the drink. Take a seat at Sunshine Beach’s must-do restaurant and order one of these straight up before you even contemplate the menu. It will get you straight into the theme of Sum Yung Guys, edgy, quirky and all things south-east Asian. Mix together in cold jug; add ice and stir. Spray glasses with seaweed-infused Fino Sherry. Pour drink into glass and finish with green olive. 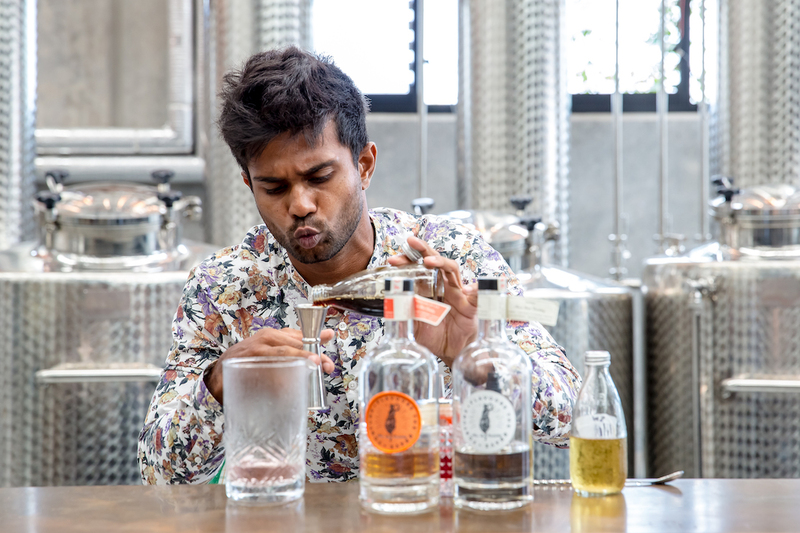 Gayan’s effort stood out for its sophistication and nod to tradition, being an homage to the martini. Again, inventive techniques utilising the sous vide with measured infusions of seaweed in both PX sherry and Lillet Blanc were well-balanced. The sherry and Lillet, both being fortified wines, a substitute for vermouth in the classic martini. 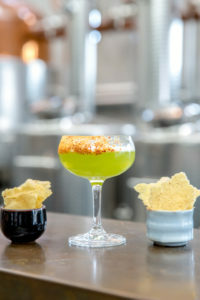 The flavour of the gin was allowed to shine in this very adult cocktail, think late night smoky jazz clubs of yesteryear. Sicilian olive garnish and spray of fino mist ….delicious. 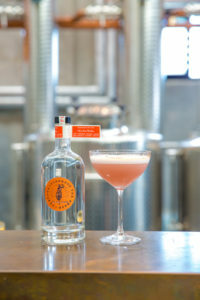 shake with ice; strain and pour and finish with Fortune Bitters Spray (gin and romantic bitters in a spray bottle) and Star Anise. Visually appealing with a lime coloured base topped with a pink-tinged foam. Drinking through the foam adds a lovely textural element with the plum spirit creating a sour/dry flavour profile with a persistent acid finish. 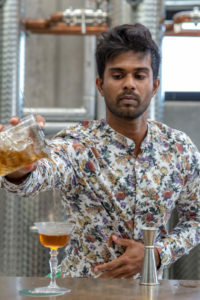 A spray of aromatic bitters adds to the aromatic complexity. 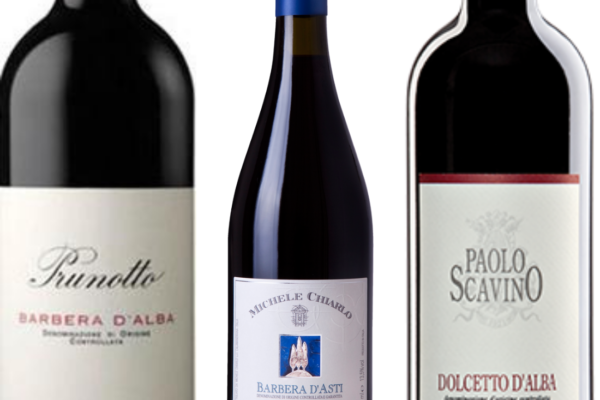 One to enjoy early in the evening and get the tastebuds tuned. 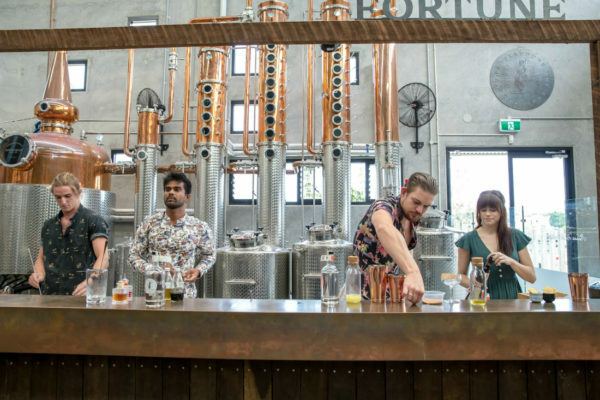 For more information on the new Noosa Heads distillery, ‘Fortune’ visit www.noosaheadsdistillery.com. 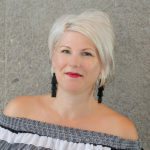 Deb has more than 25 years' experience providing strategic communications and brand reputation advice to clients in the public, private and not-for-profit sectors including Earth Hour, Stockland and Big Top Market Fresh. She is an active member of her community, provides PR to Slow Food Noosa and her passion lies in working with small businesses to help them succeed.